I'm not the biggest fan of liquid lipsticks because my lips are prone to being dry, plus I find that a lot of them look too flat. 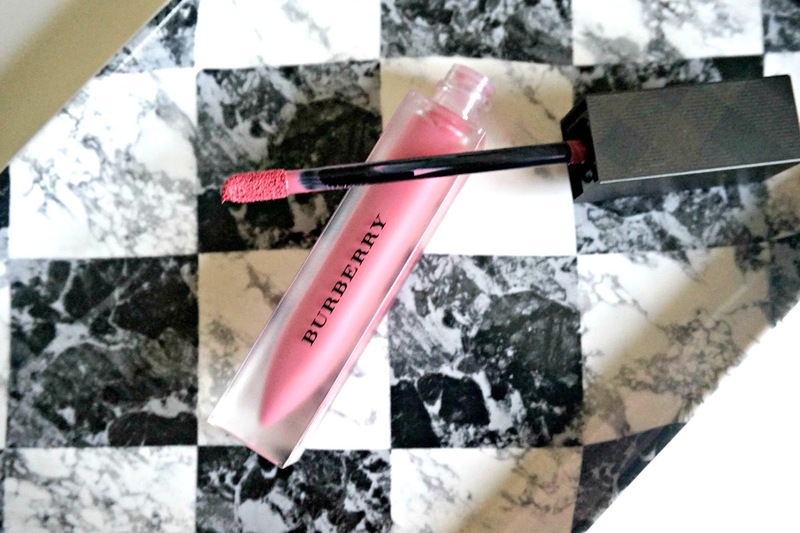 That being said, I have a few that I like (post here) and when I saw that Burberry were releasing a range of lip velvets, I decided that I'd take the plunge and order one. There are 14 shades available - nudes, pinks, berries and reds so I think there is something for everyone. I chose No. 21 Primrose, which is a beautiful mid-pink, although I really wanted 09 Fawn Rose but it was out of stock. I ordered directly from Burberry & received my order within 3/4 days with free delivery. This is my first Burberry makeup purchase and I have to say that I really like the packaging not only of the product itself but also the Burberry gift bag that it came in, but then again when I'm spending €28 on a liquid lipstick, I expect a bit of luxury! Now on to the lipstick itself. The pigmentation is spot on - one swipe gives a completely opaque finish and the small doe foot applicator means that it is easy to get a precise application. 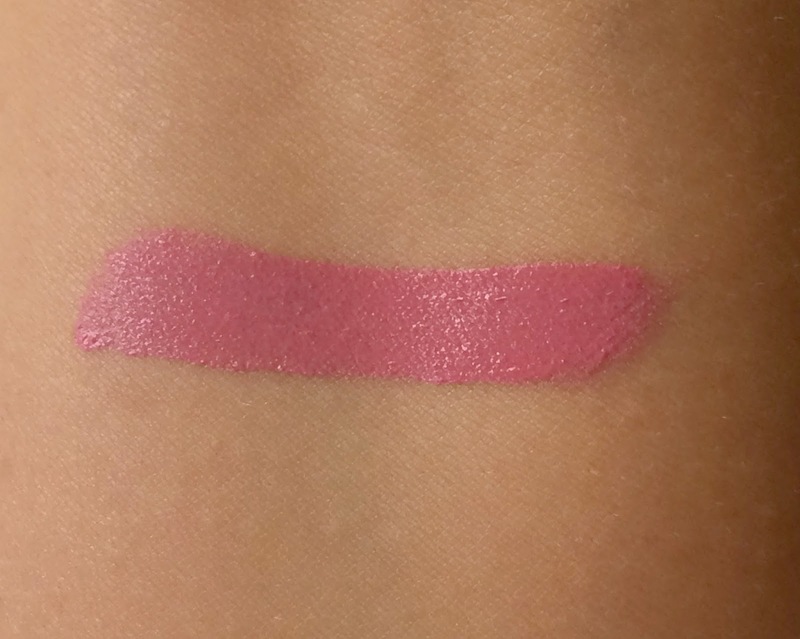 The texture is thicker than some other liquid lipsticks that I have tried but it doesn't feel heavy on the lips and it applies very evenly. It takes a little bit of time to set but once it does, it doesn't budge and the finish isn't super matte - it is velvet as the name suggests. As a result, it doesn't show up any dryness on the lips and doesn't look as flat as some matte lipsticks can. It is extremely comfortable to wear and in terms of longevity, I find that it lasts for around 5 hours on the lips before it needs to be re-applied and it can be topped up without any caking or flakiness, which is a big plus. I absolutely love the petal pink shade and think I will get more wear out of it come Spring/Summer. For now, I would love to get my hands on Fawn Rose so I am keeping my eye out for a re-stock of that shade and I also love the look of Brilliant Violet. 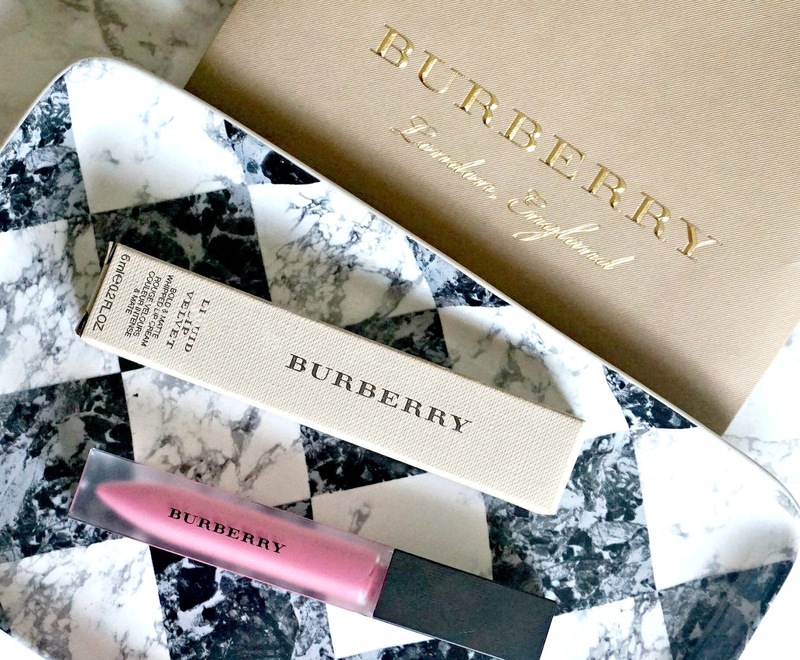 Have you tried any Burberry Lip Velvets? What is your favourite Burberry beauty product? I would love to hear your thoughts in the comments below!